The goal of my work, both in therapy and in teaching, is to assist in understanding conscious and unconscious obstacles to change and moving toward a more satisfying life. I am an experienced therapist and consultant who integrates depth psychotherapy with approaches based on current research. I offer non-verbal modalities such as sandplay, movement and art when appropriate. With clients, students, and other therapists I focus on creating effective relationships in a caring therapeutic environment. California Marriage and Family Therapist License No. MFC 24122. Board Certified Dance/Movement Therapist American Dance Therapy Association, No.798. Certified Supervisor California Association of Marriage and Family Therapists. Certified Sandplay Therapist Certified by the International Society for Sandplay Therapy and by Sandplay Therapists of America as a Teaching Member. I am a Licensed Marriage and Family Therapist, a Board Certified Dance/Movement Therapist, and a Certified Sandplay Therapist and Teacher. My private practice is in Arcata, CA. I teach and offer clinical consultation for therapists. My volunteer work includes serving as the President of the Northern California Regional Sandplay Society, as a member of the Ethics Committees of both the American Dance Therapy Association and Sandplay Therapists of America, and on the Editorial Board of the American Journal of Dance Therapy. From 2007-2009 I was on the clinical faculty at Humboldt State University in Counseling and Psychological Services. 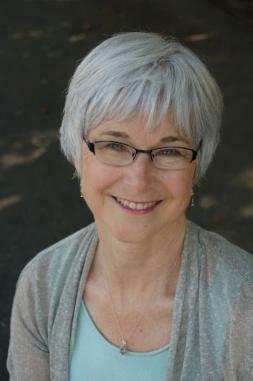 "Ellen...strives to create safety by devoting attention to developing a trusting therapeutic relationship. With some clients, her somatic work is subtle and involves gently bringing body awareness into the present moment. Verbal therapy sessions are sprinkled with thoughtful somatic encouragement, and clients are often introduced to breathing and grounding exercises. With each client, Ellen uses her many lenses to witness and guide the process." Graduate of 2-year advanced training program.